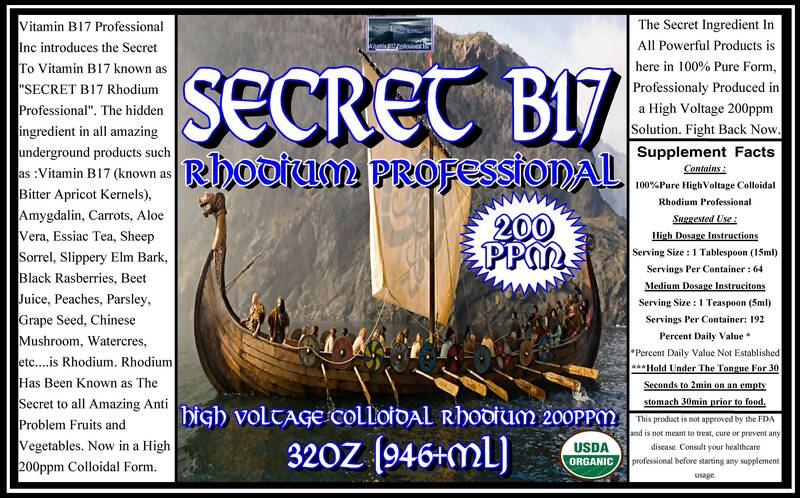 1 32oz Glass Jar of Secret B17 : 200ppm of Colloidal Rhodium Professional, Rhodium a mineral found inside Apricots as well as some of the most healthiest foods such as seaweed, watercress, carrots, etc that seems to be as powerful as Vitamin B17 itself. 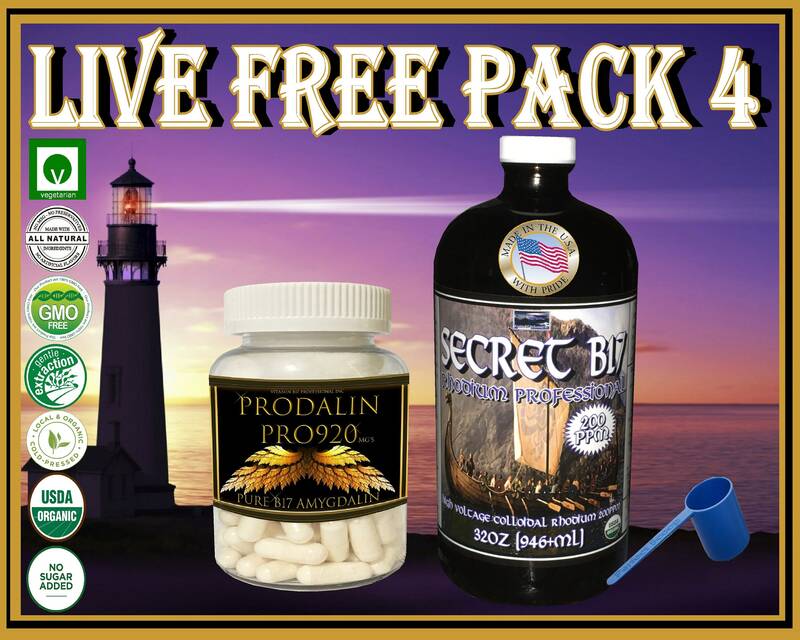 1 Jar of Prodalin Pro920 which is 99.99% Pure Organic Vitamin B17 with 0% Apricot Kernel Extract however the B17 content is extracted from Organic Apricot Kernel Extract. Each Jar Contains 100 Vegetarian Capsules each capsule containing 920mg's.